When Ronald McDonald House Charities of Alabama was founded in 1979, it was out of a need for a safe haven for pediatric cancer patients. Families came to Birmingham for medical care, but during long stays were forced to sleep in the hospital lobby or even their cars. 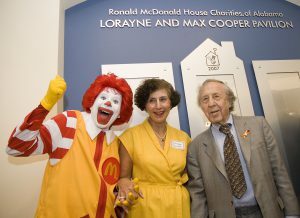 Marianne Sharbel, co-founder of RMHCA worked at Children’s of Alabama at that time. She knew the need for a Ronald McDonald House was high then and she knows it is still imperative today. “We have refused to give up. As the hospitals have grown, so has our House. It is something we should all be proud of. Birmingham is an unusual place to live — it has the heart of a small community, but it feels like a bigger city. The heart of our community has stepped up each time the House has needed support. We are so thankful for each gift,” Marianne told us. Our House has changed (and even moved locations) since the first House opened in 1979, but the reason for our services has stayed the same. Today, in 2016, our waiting list is long. With an average of 12 families waiting for a room each day and many others who could certainly use one, we must expand to meet the need. Our campaign, Healing Together: The Campaign to Expand Our House, has a goal of $7.5 million, which will allow us to build an addition to the current House. 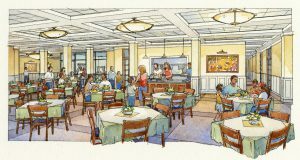 The new addition will increase our number of rooms to 73 from the current 41. The expansion is important to continue supporting the families who travel to the local hospitals. Children’s of Alabama and UAB Hospital continue to bring patients from across the nation and around the world to their facilities for their amazing care. 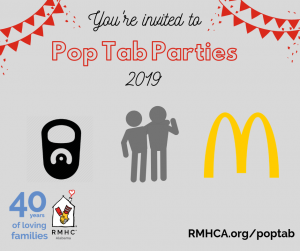 “Fiscally we have positioned RMHCA for this anticipated expansion with an internal lead gift, strong community partners, and a proforma to sustain the expanded facility,” said Wil Puckett, Board of Directors Treasurer and Campaign Co-Chair. Ronald McDonald House Charities of Alabama started the campaign with a lead $1.5 million gift of their own to kick off the campaign while keeping a healthy “rainy day” reserve in investments to maintain the mission.